WHILE WE ARE CURRENTLY SOLD OUT OF PRE-RESERVATIONS WE DO EXPECT TO HAVE MORE SEATS AVAILABLE: please email gushuemovingarts@gmail.com to be notified of additional ticket availability. 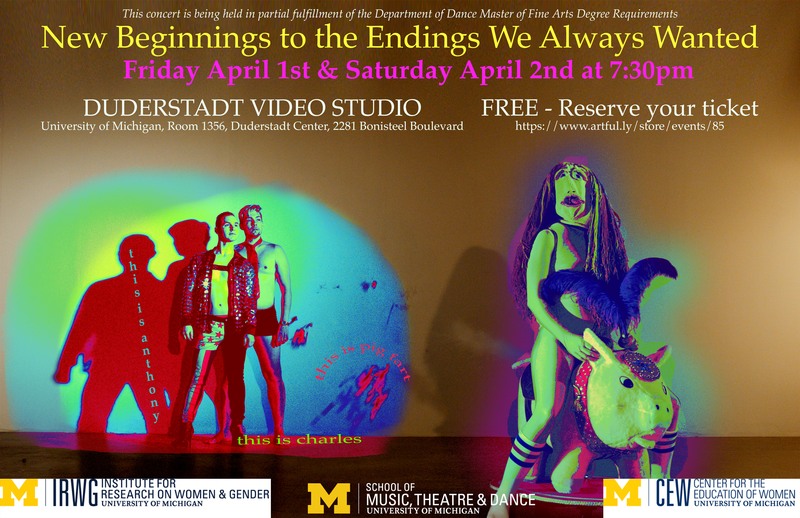 In partial fulfillment of the MFA in Dance for the University of Michigan. Charles Gushue’s work has been called “grotesquely pedestrian” and “foolishly ambitious.” Inspired by found-footage style horror films, late night dance parties, and a cadre of 80’s videos discovered on youtube. The Augur and The Amateur relies on the meaning making abilities of the audience to make sense of the dance even as it fails to understand itself.